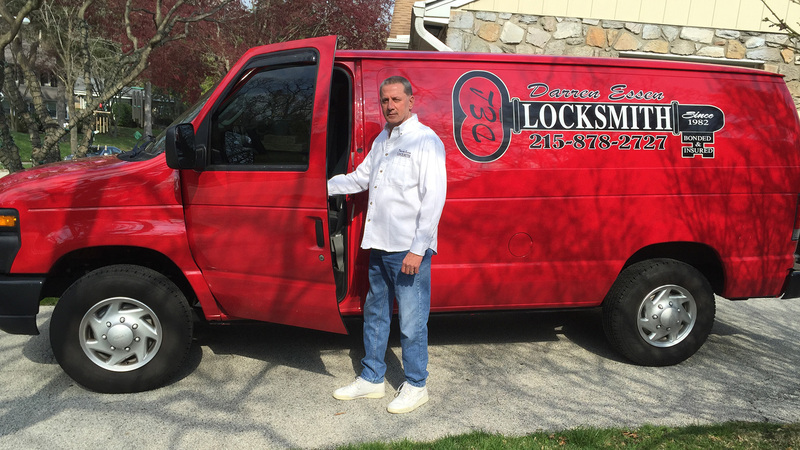 Darren Essen locksmith will promptly arrive at your location with his mobile locksmith shop on wheels, which is fully stocked with most of the replacement parts for most of the name brands of lock manufactures on the market today. If you are having a problem with a lock on your home or business, it doesn't mean that it has to be replaced. Darren Essen locksmith has replacement parts for most of the better quality locks, in order to repair yours, instead of replacing it, which will keep your cost down. Many times when you're having a problem with your lock, it is just a minor adjustment or a minor repair, with a small inexpensive replacement part. Also remember, when ever you are you lubricating your locks, only use a clear lubricant,like WD-40 in the part where you insert your key. Do not put graphite or heavy oil in the key cylinder where you insert your key, because, once moisture gets in your cylinder, it will make mud. And there are tiny pins and springs in that cylinder which can make your locks work even worse. So be sure that you call a reputable locksmith that you can trust like, Darren Essen locksmith. Call 215-878-2727.